ThemeForest - Superb v1.1 - Responsive One-Page Portfolio - 5801938 | Free eBooks Download - EBOOKEE! 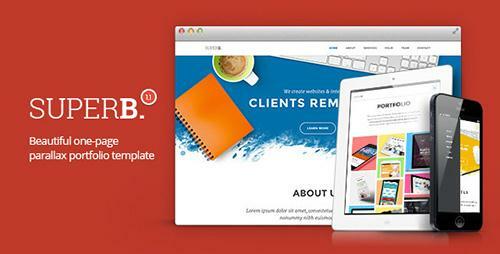 Superb is a single page template build with HTML5/CSS3. This parallaxed template is recommended for creatives, freelancers and agencies. Parallax effect is equiped with a mobile browser fallback, it will disable on mobile devices because of performance issues. Photos used in this template are not icluded. No comments for "ThemeForest - Superb v1.1 - Responsive One-Page Portfolio - 5801938".